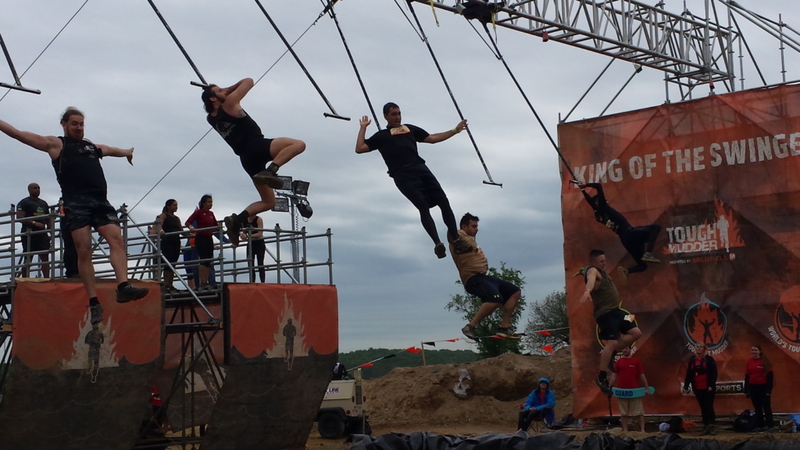 With recent temperatures in the 90's, Saturday's chilly weather was a little unexpected for a lot of mudders heading to Tough Mudder Philadelphia over the weekend. The one and only, Sean Corvelle, was on hand to pass on inspiration to all mudders at the starting line. At 7:45 AM the first wave of mudders, (Tougher Mudders) were anxious to be the first on the course to kick off a full Tough Mudder Coatsville event. On Sunday, many of those who competed in the Toughest event were either hanging around the festival area, and some were running in the first few waves of the Tough Mudder that morning. 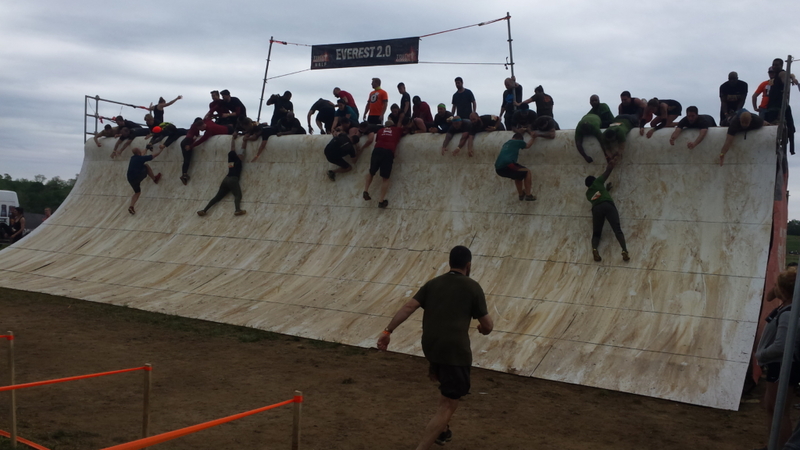 Tough Mudder Coatsville always boasts a challenging course with plenty of rolling hills and a few larger grade inclines. One thing lacking on Saturday morning was mud. It wasn't far into the course that you got your first experience with mud though, as the first obstacle was “Mud Mile 2.0” (this obstacle was double in length for those doing the “Tougher Mudder” course. Beyond that, there was “Kiss the mud” and “Quagmire.” There were a few small streams to cross between obstacles on the course. All in all, though, there was not an overwhelming opportunity early Saturday morning to get dirty. That being said, the “Tougher Mudders” were the first to break in the course early Saturday morning. On Sunday, the course was in much different shape. The steep hills in the woods were now completely worn to the mud and were much more difficult to scale. Mud mile and Kiss the Mud guaranteed to get you completely covered before you finished these obstacles. 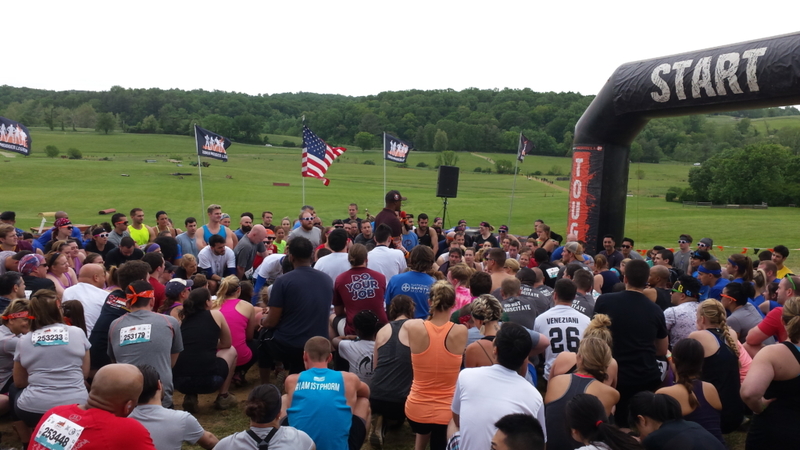 While running the Tougher Mudder, there were a few obstacles that were modified to account for the time factor as well as some new or altered obstacles from last year. 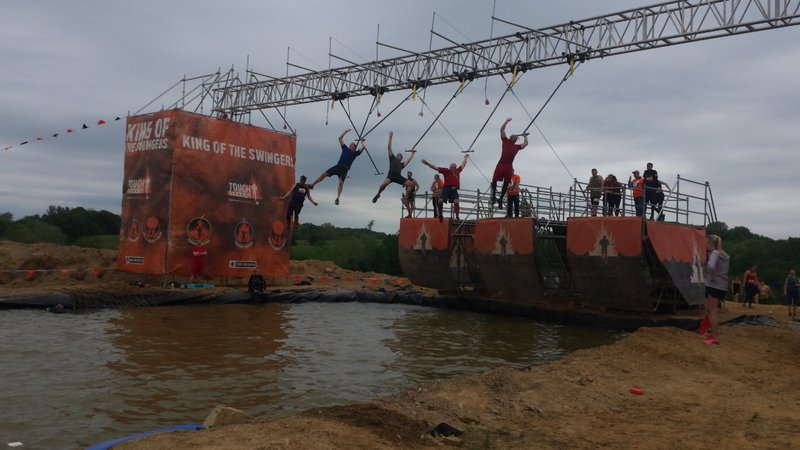 For “tougher mudders,” Pyramid Scheme and Everest 2.0 had a rope dangling from the top, allowing most mudders to complete the obstacle alone since time is of the essence for these competitors. A new obstacle this year was “Stage 5 Clinger: The Wrap Around”. For Legionnaires, this involved climbing an internal ladder, doing monkey bars underneath a structure and then pulling yourself up and over the top the standing structure about 12 feet high. This was a daunting obstacle if you have a fear of falling, but was immensely rewarding once completed. For first time mudders, the obstacle was a modified version. Another obstacle that was changed this year was “Funky Monkey: The Revolution.” Funky Monkey starts with the standard incline monkey bars, followed by a series horizontal and vertically revolving gears that you need to grab and swing from to end with the horizontal bar at the platform finish. The change is a fun alteration, but the revolving gears did present a challenge for some to master. A noteworthy addition was made to “Arctic Enema: The Rebirth.” This year, you slide down a large hollowed out tube into the ice bath then go underneath the ice for the second time to get clearance from a horizontal fencing/vertical wall. With these changes, you are underneath the ice water for a longer period not once but twice. “Augustus Gloop” was a fun new challenge that rounded out the last leg of the course. 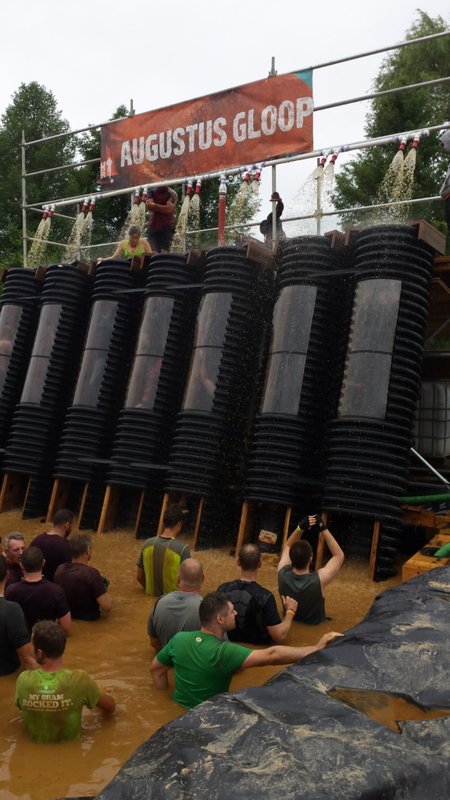 The last challenge for Legionnaires was “Kong.” This obstacle tests your arm strength and fear of heights one last time before crossing the finish line by traversing a series of rings over a pit. With the continuous rolling hills, this course was one of the more difficult courses in the east. It seemed to be a great choice for the toughest event. Many people that I spoke to were very impressed with the course. On Sunday, the line to get registered was extremely long. This most definitely caused people to start much later than their assigned start times(which Tough Mudder is taking more seriously this year). This was a definite 4.5/5 stars. Have you done a Tough Mudder?